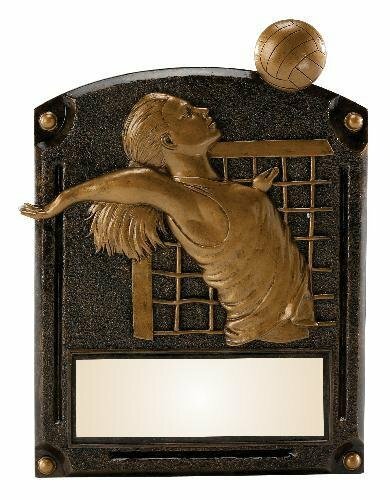 Simple and clean is a hallmark of this Volleyball Ribbon Star Award. The sweeping lines of a ribbon end at a 3 dimensional multi-paneled white volleyball. The regal black base forms a rounded shape to complete this award. 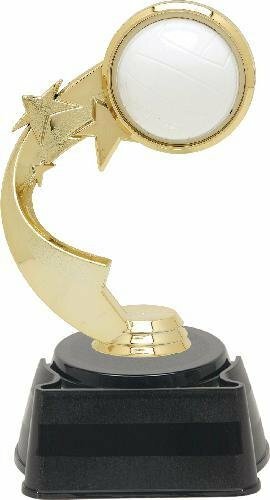 This award stands 7" tall and has plenty of room for whatever your personalization needs might be. After you have added this item to your cart, you can modify any of the parts for any sporting or academic activity.